Do those phrases bring back childhood memories of the circus? They do for me. Funny thing is that some of the words aren’t even “real” words! 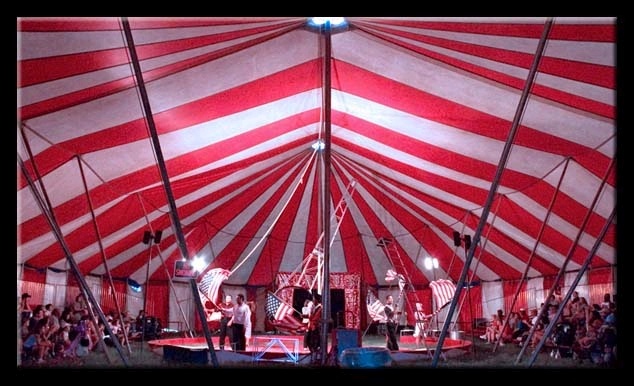 But isn’t it fun to think about the circus under the Big Top? It’s a lot like life. There are the clowns, strongmen, jugglers of all kinds, contortionists, and lion tamers. And we can’t forget the Ringmaster! Strength. In all athletic feats, especially in acrobatics, you’ve got to be strong enough to do it; plain and simple. When thinking about strength, think beyond muscles and physical strength. Mental strength is important as you embark upon one of quite possibly the most challenging journeys of your life. Do the research, know your strengths and play to them. Think about what you do well, and learn how to do it better. Marcus Buckingham’s Now, Discover Your Strengths and Jim Collins’ Good to Great are both excellent books that speak to this. Follow Through. Once you’ve mustered the strength, dedicated yourself to your commitment, don’t forget to follow through. This is a step that many don’t do well. Whether it’s with an application submittal, job interview, or simply having lunch with a potential employer, don’t forget to follow through. Do what you say (and what you’ve been telling yourself) you’re going to do. Send the follow up information, ask for next steps, etc. If you’re an acrobat, you have to follow through or face crashing to the ground (safety net not always included). Give it your all – 100% all the time. Support. A good acrobat has great support. Whether it’s their partner (team act) or their friends and family (solo act), support is incredibly important. There’s enough negativity to overcome in your job search, your career and in life. Surround yourself with people who support you for who you are, people who are behind you 100%, and those that keep you moving forward. For many, family and friends are the backbone of this support network. Your pet could also be that form of support (they love you, they’re always happy to see you, and they listen well). Regardless of what your career objectives are, each one of the points above applies in some way. Ultimately, you’ll do what you need to do, but you don’t have to do it alone. So, go ahead, throw your hat into the ring and let’s get this show going! There’s also a lesson about risk. If you want to fly, you have to let go of the trapeze. That’s a great one to add! Thank you! !